Producing a record, reproducing a work (or an extract) and put it onto an album, adapt, arrange, remix a piece, publish a compilation … In music, everything is possible, under proviso of respect of the conditions. 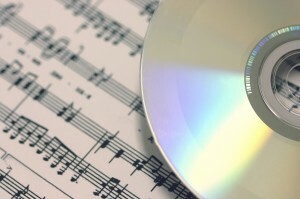 Basically, before producing a CD, it is always necessary to ask the creator’s authorization to use his /her work. The creator can also entrust third parties with the management, as the case may be, to SACEM (Society of Authors, Composers and Publishers of Music, the SACD (Society of Dramatic Authors and Composers) or the SCAM (Civil Society of Multimedia Authors). The license is issued by a fourth society, the SDRM (Society for the Administration of Mechanical Reproduction Rights), designated by the other three to process applications and to perceive the rights or royalties, corresponding to these requests. Find below the procedure explained, step by step. The reproduction of a work onto a physical medium. SDRM licenses the mechanical reproduction of works from the repertoires it manages (SACEM, SACD, SCAM), sets the conditions for such licensing and collects & distributes the corresponding royalties. Don’t forget the legal deposit at the CNA! The mission of the National Audiovisual Centre is to assure the protection of the national audiovisual heritage through legal deposit of audiovisual documents, films, audio produced in Luxembourg, given to a public whatever may be their technical process of production, publishing or distribution, in accordance with the law of June 25th, 2004 on the reorganization of the cultural institutes of the State and the grand ducal regulation of November 6th, 2009 pertaining to the registration of the legal deposit.